A set of approx. 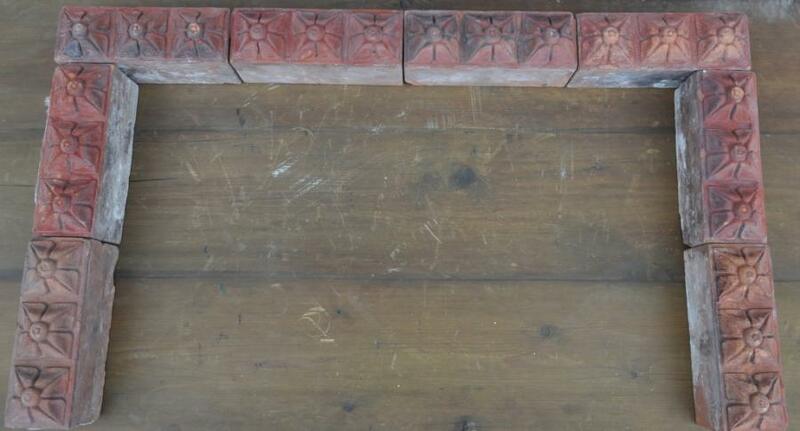 46 19th century antique decorative terracotta bricks. 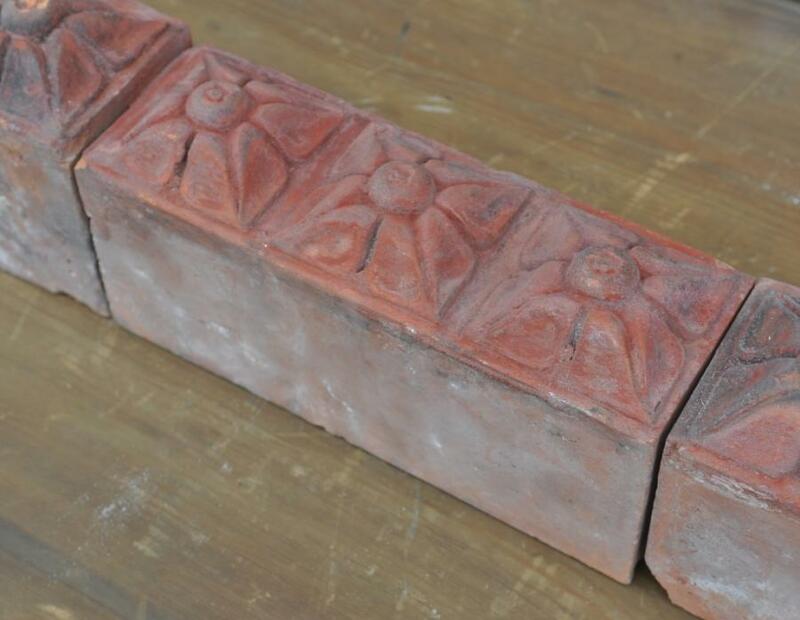 Tri Floral Brick. A great row, border or frame one. How about an unusual / unique fire surround? Sold in any quantity.Can work well in walls as singles,in rows or as a panel maybe mixed with other types, or as frames or borders. 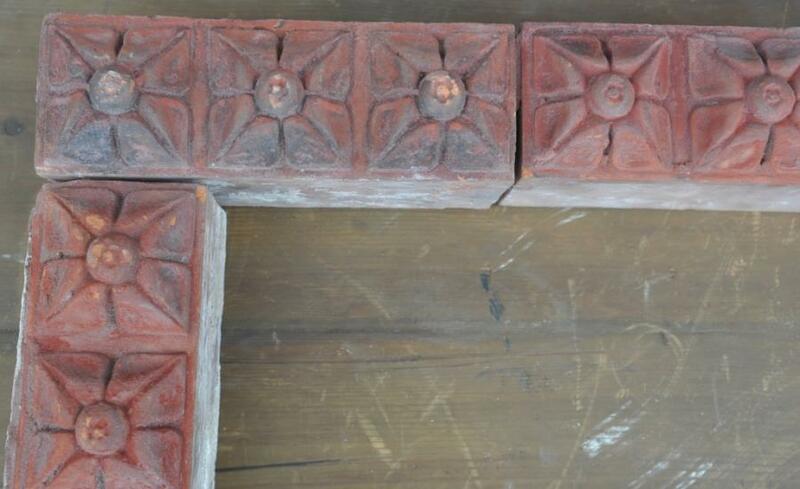 Dimensions in inches/cms or inches alone; 9.25/23.5 x 3 and1/8 /8 high x 4.75/12 deep ( 3.75/9.5 built in ) - solid QUANTITY; approx 46 of Part of a collection of decorative terracotta i am now advertising. All reclaimed from English Victorian buildings over many years. For an overview and price list of all the collection please email me and i will send the word document. Also please see other adverts.